Bamboo and rattan are essential components of biodiverse landscapes in the regions in which they grow, with many mammal, insect, and fungal species dependent on bamboo and rattan for their survival. They are especially crucial for protecting some of the world’s most iconic and endangered mammals, such as pandas, gorillas, lemurs and monkeys. They are also key for the protection of several reptiles and Angonoko (Geochelone yniphora), the world’s rarest tortoise. Firstly, bamboo and rattans provide a direct source of nutrition for many primates. In some cases, bamboos are even a main source of nutrition for species, such as the Mountain Gorilla, the Bale Monkey, and the Greater Bamboo Lemur. Rattans, with their relatively long fruiting seasons, can also provide an important source of food for primates at critical times in the year. Secondly, bamboo and rattans also provide important shelter, dwelling and habitats for many primates across the world. Bamboo is a component of forest ecosystems across the tropics and sub-tropics, while rattans form a key element of some of the world’s most important biodiverse hotspots and primate habitats in South and Southeast Asia and West and Central Africa. Finally, supporting communities to sustainably manage and utilise bamboo and rattan provides vital sources of income to poor smallholder communities, helping to reduce pressure on primate habitats. Today, bamboo and rattan are already among the world’s most valuable non-timber forest products, with an estimated market value of US$60 billion. Rural smallholder communities benefiting from these markets can become an integral part of conservation efforts. The most serious threat to gorillas is habitat loss. The rich volcanic soil of the Virunga National Park shared by Rwanda, Uganda and the Democratic Republic of Congo is as highly valued as farming land. In these three counties lies a regional conservation program stressing the importance of maintaining the virgin forest watershed and development of ecotourism to abate park encroachment. The establishment of this programme was partly a response to occasional confrontations between Mountain Gorillas and farmers with the former foraging for bamboo in the ‘bamboo zone’ lying adjacent to human settlements and farms. INBAR already works with the Center for International Forestry Research on bamboo restoration in and around the Virunga National Park in the DRC, while both Uganda and Rwanda are also INBAR member states. The Greater bamboo lemur is critically endangered according to IUCN’s Red List of Threatened Species. This species is only found in Madagascar, where it lives in bamboo ecosystems in mid- to high altitude rainforest sites and lowland secondary habitats. Currently over 500 individuals are known in the wild, from approximately 11 subpopulations, but none of these subpopulations appear to exceed 250 mature individuals. There is insufficient information available on current population trends, but habitat destruction and hunting suggest that it is decreasing. INBAR has a project office in Madagascar and strong links to the Ministry of Environment. The Hainan Gibbon is the world’s rarest ape, with just 25 left in Southern China’s Hainan Island. With approximately 2,000 Gibbons still thriving as late as the 1950s, the rapidly decreasing numbers have been partially explained by the loss of 72,000 ha of rainforest between 2000 and 2010 to accommodate rubber and paper plantations. This has resulted in the mass collection of rattan as a construction material, essentially not only causing damage to the natural habitat of the Hainan Gibbon and to a key part of the forest ecosystem as a whole, but also taking away the primate’s key food source. 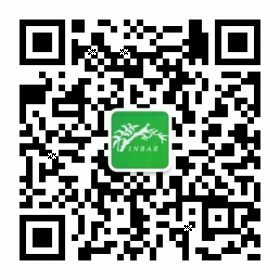 INBAR has a training centre in Hainan, while also maintaining close relations with China’s State Forestry Administration and the Hainan provincial government. The Siberut Macaque is a vulnerable species of macaque, which is endemic to Siberut Island in Indonesia, an INBAR Member State. Similar to other parts of Southeast Asia, logging and deforestation of tropical rain forests has left this species endangered. Being semiterrestrial and frugiverous, the Siberut Macaque travels a greater distance than other macaque species in order to access sufficient sources of food, of which rattan is a primary source. Due to the deforestation and degradation, the density of rattan palms and other sources of fruit trees is declining, subsequently lengthening the distances the species must travel to forage for food. There are over 1200 species of bamboo and 650 species of rattan, many of which are used for subsistence or for income generation — overharvesting and lack of management threatens the survival of some of these species. Some species of bamboo are themselves under threat due to over harvesting (eg Qiongzhuea tumidinoda in China), whilst others are known only from single locations and could be threatened if the habitat comes under pressure. INBAR is planning to do a red list assessement for rattans in Asia and the Pacific. The palms (Arecaceae) are an important group of plants with immense ecological and economic value. Among the palms, rattans, which belong to the Calamoideae subfamily, are of critical importance to livelihoods of millions of people, with global trade in rattan products valued at around US$4 billion dollars a year. Rattans are also a vital component of tropical forest ecosystems, supporting biodiversity and providing habitat and food for a number of iconic endangered primates, such as the Hainan Gibbon and Siberut Macaque. However, rattan resources are declining rapidly throughout the world. The primary reasons for this decline are tropical forest loss, which deprives rattan palms of their habitat, and over-exploitation for commercial use. In 1998, Out of 631 species worldwide, IUCN estimated that 117 rattan species are threatened to some extent, with commercially valuable species under the most extreme stress (Walter, K.S. & Gillett, H.J., eds. 1998.). In the last 18 years, pressure on rattan resources has only increased, yet accurate information on the risk facing rattans is missing. Therefore, urgent action is needed to improve our knowledge and understanding of the current situation. Invasive species are recognized as one of the five most important direct drivers of biodiversity loss and change in ecosystem services – alongside habitat change, climate change, over-exploitation of species, and pollution. Bamboo species have been widely introduced outside their native range – most often intentionally, for economically beneficial purposes such as forestry, timber production, erosion control, landscape improvement, and agriculture. Although some bamboo species are known to be invasive, particularly ‘running’ bamboo species, which exhibit vigorous growth and have been known to invade natural and semi-natural areas, many are not invasive and pose no threat to natural environments. By avoiding invasive bamboo species through a robust assessment of risks and the introduction of sensible forestry management practices, countries can enjoy the full benefits of this strategic resource, reaping its many benefits for sustainable development. When early detection and containments fails, proven manual, physical and chemical options are available. Mapping bamboo and rattan biodiversity. Development of management systems for bamboos that protect biodiversity without unnecessarily compromising productivity. Promoting the identification and protection of endangered bamboo and rattan species and habitats. Involvement of bamboo in biodiverse landscapes, such as the UN Satoyama initiative. Raising awareness of the plight of organisms that depend on bamboo for all or part of their lives.